We all know that Justin Bieber can (sort of) juggle and that Donald Rumsfeld used to ride a unicycle, but it’s been a while since a bonafide celebrity came forward with some serious circus skills. 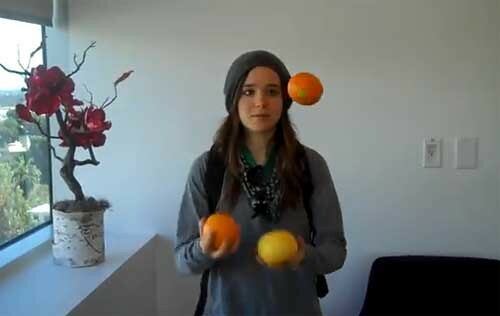 Enter Ellen Page. Yes, the Canadian-born Juno star has some pretty decent chops it seems, and isn’t afraid to show them off!